Canadian online travel agent FlightNetwork singled out 8 greek beaches as being among the world’s best, with one taking the top spot overall. As the country with the second most Blue Flag-awarded beaches in the world, it’s no surprise that Greece’s coastline is regularly featured on various lists naming the best beaches around the globe. The latest news is from Canada’s online travel agent FlightNetwork; eight Greek beaches made it on their Worlds Best Beaches list for 2018, with one of them claiming the top spot overall. 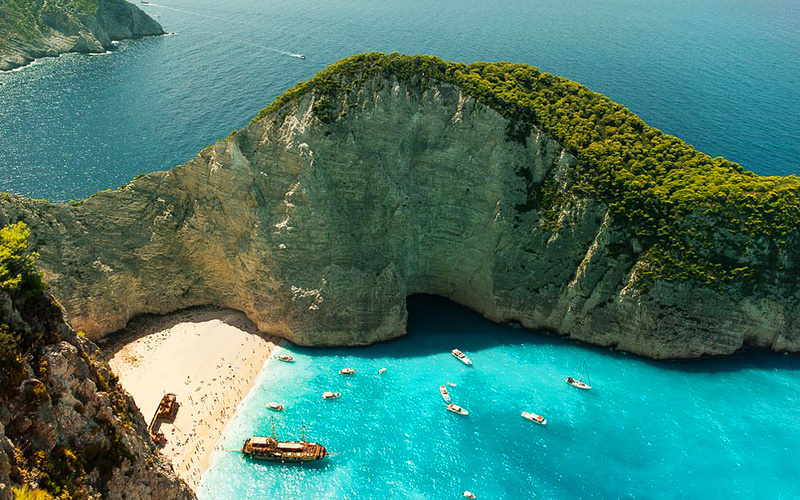 Beating all the other 399 beaches on the list, Navagio (Shipwreck) Beach on the island of Zakynthos took first place. This iconic beach, situated in a secluded cove and featuring the shipwreck of the Freightliner MV Panagiotis, is one of the most photographed and iconic images of Greece, and while we could recommend many less crowded and equally amazing swimming spots on the Greek islands, Navagio Beach will always be Navagio Beach. Agiofarago Beach in Crete, which was named 2nd Best Untouched Beach in the World in 2018. FlightNetwork’s list, which is shaped by over 1200 industry professionals (journalists, bloggers, travel agency professionals etc), is divided into ten categories: World’s Top 50 beaches, Untouched Beaches, City Beaches, Africa, Asia, Oceania, Central America & Caribbean, Europe, North America, and South America. Navagio Beach placed first in the World’s Best Beaches category, and naturally, in the Europe category. Worth noting however is that the visitor experience at Navagio beach might be different come next summer. Authorities are debating ways to make the beach more safe, following a landslide in September. The rocks tumbled into sea creating large waves which capsized boats moored close to the shore, injuring several people. They are also said to have changed the color of the turquoise water to milky white at parts of the beach. 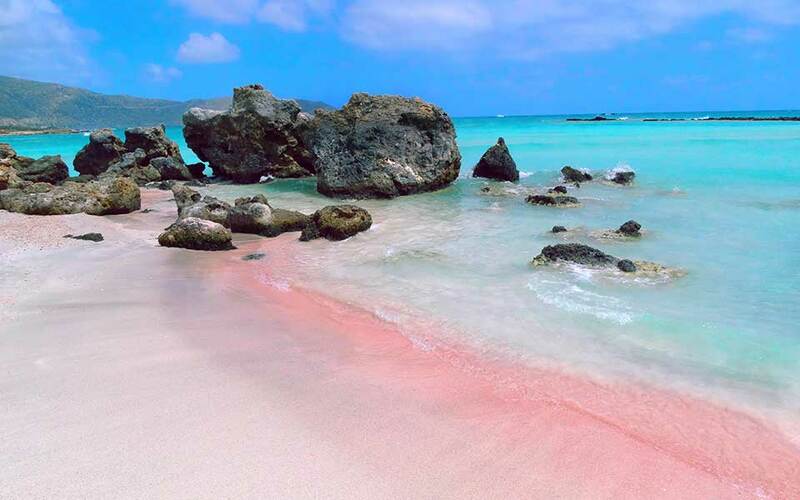 Elafonisi Beach in Crete, famous for its pink sand, was named Europe's 7th Best Beach. Agiofarago Beach on Crete was named the 2nd Best Untouched Beach in the world. “Agiofarago is one of the most imposing and easily accessible gorges, offering the joy of trekking combined with the unique beauty of Cretan land and nature. 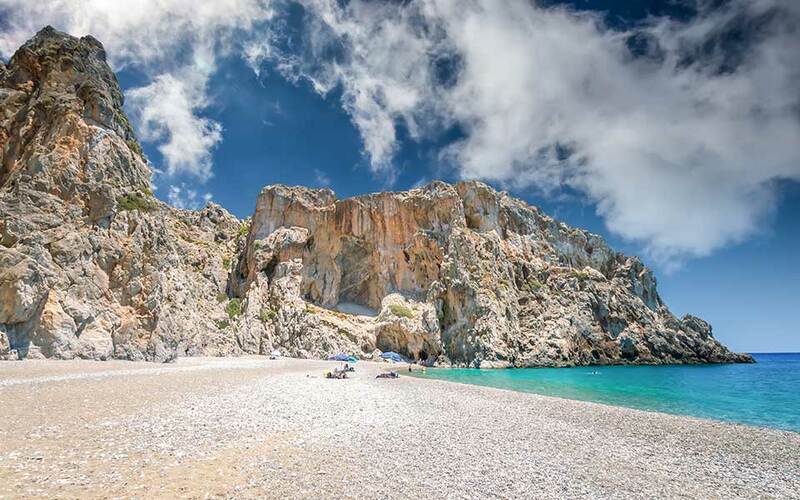 The route within the gorge is approximately 30 minutes and it will lead you to one of the most beautiful beaches of Crete with crystal clear water, surrounded by breathtaking rocks,” FlightNetwork writes. Other Greek beaches that made the Europe list were Elafonissi beach, also on Crete (7th place), Santorini’s Red Beach (12th place) and Perissa Black Sand Beach (20th place), Sarakiniko Beach on Milos (21st place), St. Paul’s Bay on Rhodes (28th place), and Lalaria Beach on Skiathos (31st place).